>>> Click here to SEARCH swim lesson options by location, or to register. Accompanied by an adult, infants and toddlers learn to be comfortable in the water and develop swim readiness skills through fun and confidence-building experiences, while parents learn about water safety, drowning prevention, and the importance of supervision. Parents work with their children to explore body positions, floating, blowing bubbles, and fundamental safety and aquatic skills. Having mastered the fundamentals, students learn additional water safety skills and build stroke technique. In addition, they develop skills that prevent chronic disease, increase social-emotional and cognitive well-being, and foster a lifetime of physical activity. It’s never too late to learn to swim, or to refine swimming skills! Teens and adults will learn personal water safety and achieve basic swimming competencies. Advanced classes are also available for those who are interested in working on mastering stroke technique. * Private Swim Lessons also available for youth, teens and adults! Swimming laps provides a great aerobic workout that will strengthen, tone, and lengthen your muscles. We offer regular lap swimming opportunities at all of our locations, and all levels are welcome. Click here for a list of schedules by location. Looking for quality time with the family? Take a dip and play in one of our many pools! We offer regular opportunities for recreational swim at all of our Y locations. Click here for a list of schedules by location. Here at the Y, we believe that every child should have the opportunity to learn how to swim. Every year the YMCA of Delaware engages youth through local community partnerships to teach basic swimming skills and safety around water for youth between the ages 3 – 17. For more information, please contact your local branch. 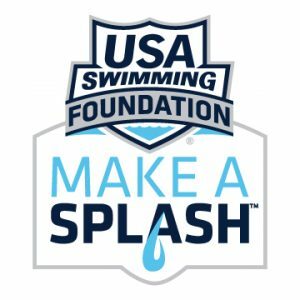 Water Wise is in partnership with the USA Swimming Foundation’s Make a Splash Initiative.